Designed exclusively by bar and restaurant insiders, PointOS Professional 2014 works the way you want it to. Easy for owners to set up, fast for staff to use, and powerful for managers to control, PointOS Professional 2014 is packed with features that boost sales, speed and profit. 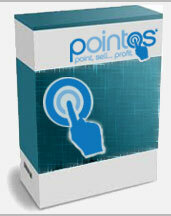 The PointOS PP-POS-SOFT-LIC is also known as PP-POS-SOFT-LIC	or PPPOSSOFTLIC	.